Phu Quoc Island, is the largest Vietnam Island and is part of Kiên Giang Biosphere Conservation Area that has been inserted in 2006 by UNESCO as a World Biosphere Reserve. District of Phu Quoc includes 28 islands with a total area of 593 square kilometres and Phu Quoc is the largest one. Duong Dong, is the largest town on the island. The economy is developed on tourism, fishing and agriculture. All foreign tourists are allowed from March 2014 with a visa free up to 30 days. Phu Quoc has white sand beaches and still dense undeveloped jungle. Beyond the long beach where you can find most accommodation in Phu Quoc there is also undeveloped area so you can for sure relax and feel in peace!!! You can enjoy white beaches, do snorkeling, run motorbike to explore the island. The rainy season is from may to October, while the peak season is from April to May and the best period to visit Phu Quoc island is from November to March when the temperature are good on about 30 degrees. Tropical Paradise of Phu Quoc Island is the largest Vietnam Island, situated in the Gulf of Thailand, 50 km from the Vietnamese mainland and a 50 minute flight from Ho Chi Minh. Phu Quoc is famous for beautiul beaches and many activities available as snorkeling, scuba diving, bird watching, hiking, fishing, trekking and untouched environment. On the island you also can enjoy with golf courses, safari zoo and amusement park!!! Phu Quoc attention is focused on the national park that covers more less 70 % of the island, to protect the marine environment where you can enjoy and relax with many experience and tours. One of the best activity in phu Quoc is the most simple as watch the sunset! Also you can have an amazing taste of Vietnamese Cuisine, also visit historic prisons and temples. If you are searching for some shopping, just go to Dinh Cau Night Market that infact is a popular place for shopping and fresh seafood and taste lemongrass crab, kebobs or grilled oysters!!! Phu Quoc is also famous for his black pepper and fish sauce, while being not part of Mekong Delta, is not the right place to produce rice. So the Black pepper is considered one of the best pepper in the world that is coltived in Koh Rong in the center of the island. About fish souce, if you are in Phu Quoc you must visit one of many fish sauce factory. This fish sauce has been classified PDO, Protected Designation of Origin in the European Union! Phu Quoc island is the perfect place for western tourists that want to escape from occidental routine! The long beach and Bai Truong are the most developed area with many resorts, and no problem here with WiFi; but the rest of the island is still undeveloped and you can enjoy exploring it! Phu Quoc offers diving on reefs, kayak, relaxing with massage or enjoy your taste with fresh seafood and absolute relax on white sand beache in Phu Quoc! If you need an hospital, you can find it in Duong Dong, but they only speak Vietnamese so maybe you could need to go to Ho Chi Minh that is better for facilities as for the language but also if you have something serious. If you want discover and exlpore more Phu Quoc island, the best way is choose for Motorbike Rental and price are in general between 150,000 to 200,000 VND per day . We suggest that you take some pictures to scapes and dings, before to start your ride with the motorbike, as they could try to charge you for damage you not done, but already done! So if you take pictures before you’ll have proofs of pictures with date and time! Anyway choose to exlpore the island with a motorbike is a good idea as roads are good paved and there are not much traffic and you can reach abandoned beaches, visit local villages or see wild monkeys on thei habitat. Beaches in Phu Quoc are very beautiful, there are dozen bay and beaches. You can relax on some white sand or yellow sand, so just choose the best one for you! One of the best beach in Phu Quoc is Sao Beach with white sand, warm and clean water and a perfect breeze. Accommodation are for any pocket, so ideal for backpackers or for luxury resorts and hotels or for a middle way! If you have the possibility to book your next holidays to visit and relax in Phu Quoc now, you are lucky because it’s still undeveloped, so not wait too much as in future could become for example like Phuket! You can drive through the island from north to sud by roads in just one hour more less. There are many temples and pagodas to visit in Phu Quoc, here a list of main temples: Dinh Cau Temple, Cao Dai Temple, Nguyen Trung Truc Temple, Su Muong pagoda, Sung Hung Pagoda, Ho Quoc Pagoda, Sung Duc Pagoda, Phap Quang Pagoda and Dinh Ba Temple. Here a list of towns and villages that we suggest to visit: Duong Dong Town, An Thoi Town, Ham Ninh Village, Gan Dau Village, Cua can Village, Thom Village, Rach Vem Village, Rach Tram Village, Hon Thom Village. As we told you, Phu Quoc is famous for his black pepper, and you can visit 3 plantations in Duong Dong, there are no tours but you can visit plantations and than you can buy pepper. The government will expand plantations from 5,00 ha to 1,000 ha in the 2020. The Phu Quoc prison is called Coconut tree Prison is located in An Thoi Town that ws used by French and later by Americans. During the vietnam war, on this prison more than 40,000 north vietnamese soldiers has been tortured. Now the prison is a museum and in 2015 became special national heritage site in Vietnam. Price to enter is 3,000 VND per person and the visit will take about 40 minutes. Tourists also can go through underground escape tunnel. Located in Duong Dong is the largest market in Phu Quoc Island. IS the best place to find fresh fruits and seafood, but also meats, eggs, sweets. It also offer variety of street food. Visit it before sunset or after sunrise will be the best time to visit it. Located at north of Duong Dong, you can see the typical wooden bridges in Cua Can. Not much time remain to see these bridges that will be put down on next future. You can ennoy and visit this amazing archipelago of An Thoi. It is composed by these most popular islands: Hon Mong tay, Hon Kim Qui, Hon Thom, Hon Dua, Hon Roi, Hong Dam Ngoai, Hon May Rut and Hon Vong. This area is rich of macro and micro life as this area is located in turbid and nutrient waters. So you can enjoy a tour on these many islands. Located in Ham Ninh Town, Rock Garden is a scenary of granite rocks situated in clean water! The lake ensure fresh water and electric power to the island and are located in the center of the island near the Da Ban Stream. If you depart from Europe, US, Australia, you can fly direct to Ho Chi Minh or Hanoi with Vietnam Airlines or from Asia with Malaysian airlines, Thai Air and China airlines. Or you can take regional low cost airlines from Bangkok, Singapore, Kuala Lumpur, Hong Kong with Air Asia. From 2014 you can fly direct with Vietnam Airlines from Singapore, and Siem Reap and visa for Vietnam is not required for this flight. If you wanna reach the island by boat , you can take the boat from Ha Tien or Rach Gia in the south of Vietnam. The trip will take 1 hour from ha Tien and 2 hour and half from Rach Gia and the price is 5-15 US dollars for one way. Phu Quoc island is now visa free for up to 30 days. It’s valid if you fly via Hanoi and Ho Chi Minh not leaving the transit area or if you fly direct to Phu Quo. If passenger leave the transit area, you need visa except Japan, Russia, Korea, Scandinavian countries and Asean for 15 days visit. If you need to enter in Vietnam you can ask visa for up to 30 days and you can request this online to www.vietnamvisasite.com that will cost 18 US dollars and than 45 US dollars on arrival at airport in Hanoi or Ho Chi Minh. Maybe in coming future will be visa free for tourists also from Australia, France, Germany, UK and India. 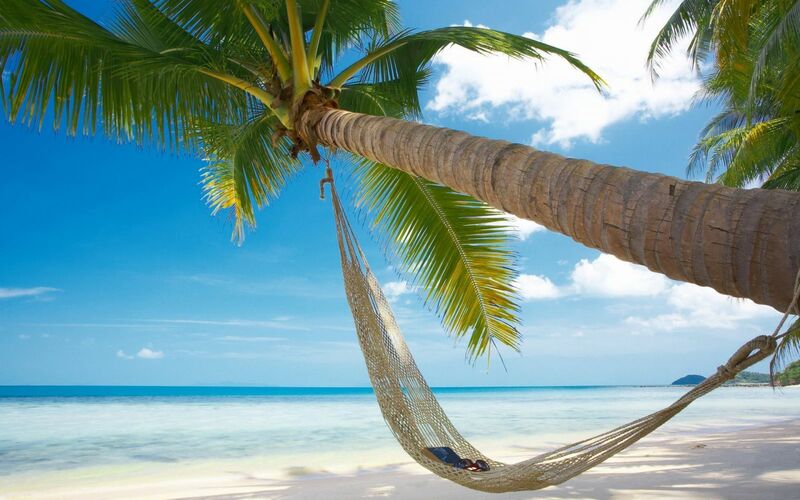 In Phu Quoc Island the best activity to do is relax on white beaches!!! Obviously there are many activities in Phu Quoc that you can enjoy. Explore Phu Quoc riding a motorbike could be a cool experience but be ware because many roads are raw. You can easily rent a scooter in the island in many hotels. You can reach the Suoi Tranh waterfall; go to Duong Dong city to see the fish sauce factories; Bai Sao considered the best beach situated in the east coast; and see small fishing villages in the way to Dai beach. The national park that cover the 70 % of the island, has been created to sustain the nature environment, by the Vietnamese government. The national park is the paradise for many species like langurs, macaques, loris, otters, hornbills and fruit bats that live in the luxuriant jungle that you can explore booking a tour. be aware to visit the park when is raining. In Phu Quoc you can find some dive sites around the island; most suggest to go to An Thoi archipelago very close to Phu Quoc where you can see coral reefs and many colourful fishes, but you’ll not find for example large fishese and/or manta. Phu Quoc is a good place to do snorkeling with its clear water. You also can book daily tours to nearest islets. For example An Thoi archipelago is composed from 12 islands where snorkeling is very beautiful. Salinda Resort Phu Quoc Island boasts spacious and luxurious rooms with free WiFi and a private balcony in Duong Dong. Saigon Phu Quoc Resort & Spa offers 4-star accommodation and world-class facilities, including a pool, fitness centre and tennis courts. Wi-Fi, airport transfer and bicycle rental are free of charge. There is 1 person looking at this resort. Arcadia Phu Quoc Resort has a private 100-metre sandy beach with free towels, umbrellas and sun loungers.There are 2 people looking at this resort. Located in Duong Dong Town, the 4-star Sasco Blue Lagoon Resort offers a private beach, spa and 3 dining options. It features free WiFi access. There are 2 people looking at this resort. 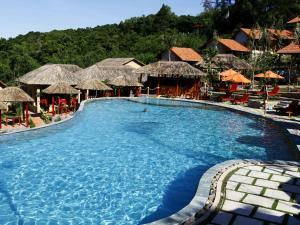 Located in Duong Dong, Daisy Resort offers peaceful and comfortable bungalows with free WiFi access. Featuring lush green gardens, it houses an outdoor pool, fitness centre and free parking on site. There is 1 person looking at this resort. Discover the Cambodian largest island Koh Rong Island to relax on tropical paradise, or Koh Rong Samloem , the second largest island! Visit Vientiane for your next holiday on Laos charm! Discover Palawan Island, world’s best island 2013 and 2015!! !